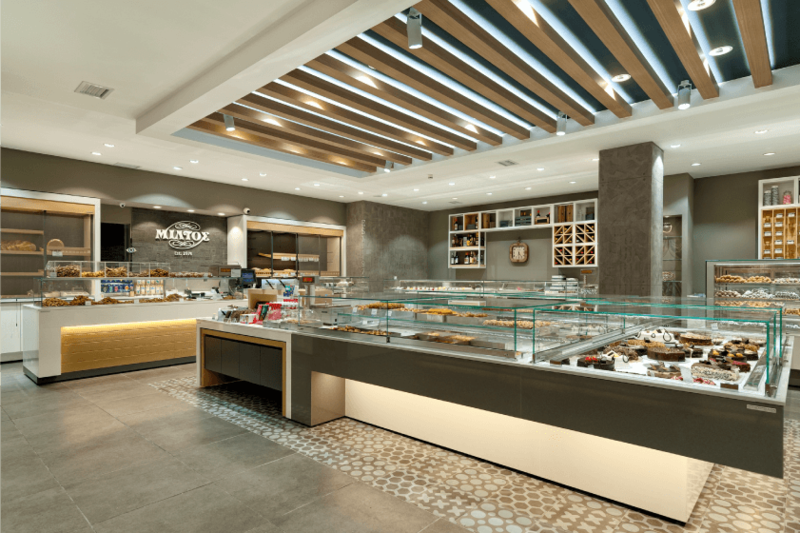 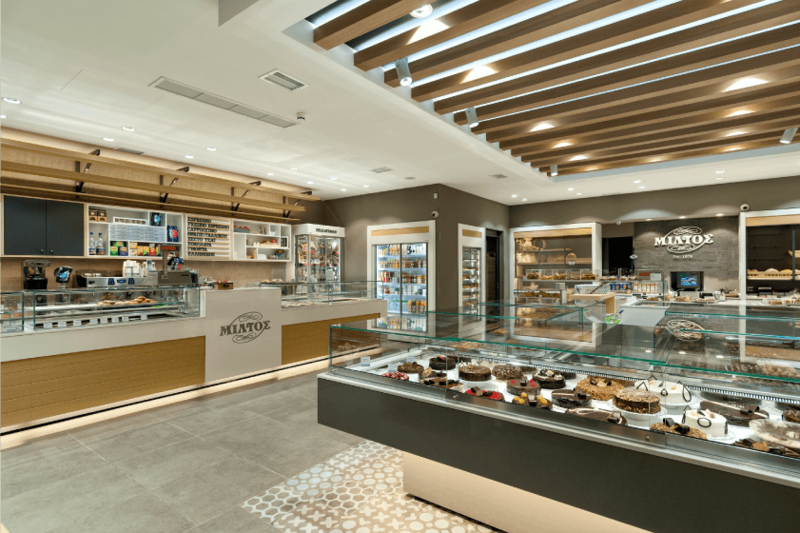 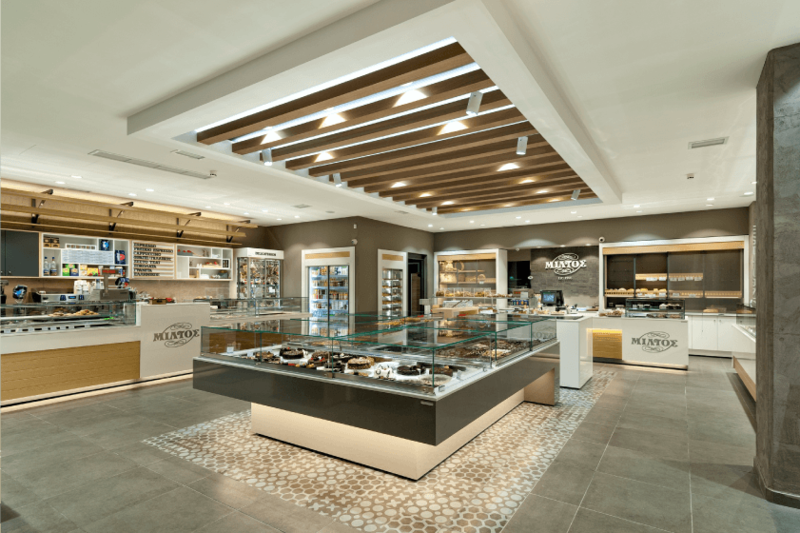 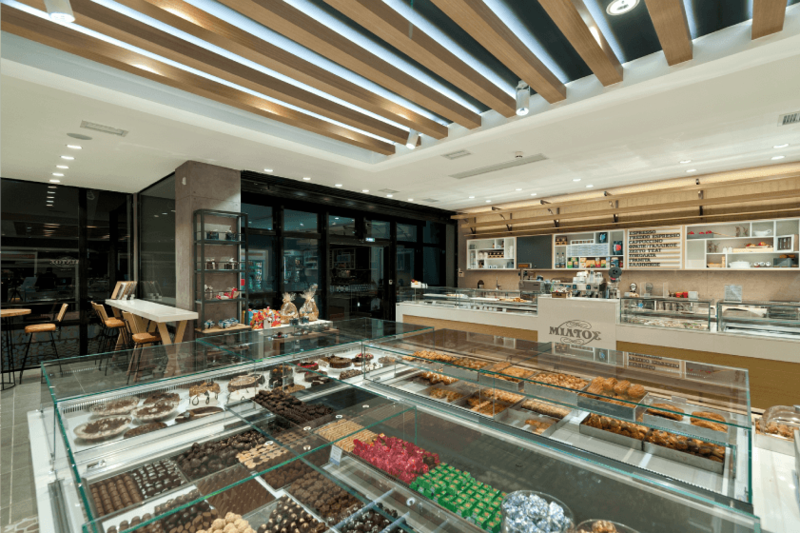 D. Antonopoulos SA proudly presents the new MILTOS store in Thessaloniki. 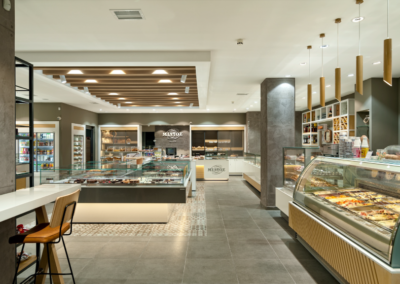 Snacks, pastries and ice cream are uniquely projected through the modern vitrines and refrigerators. 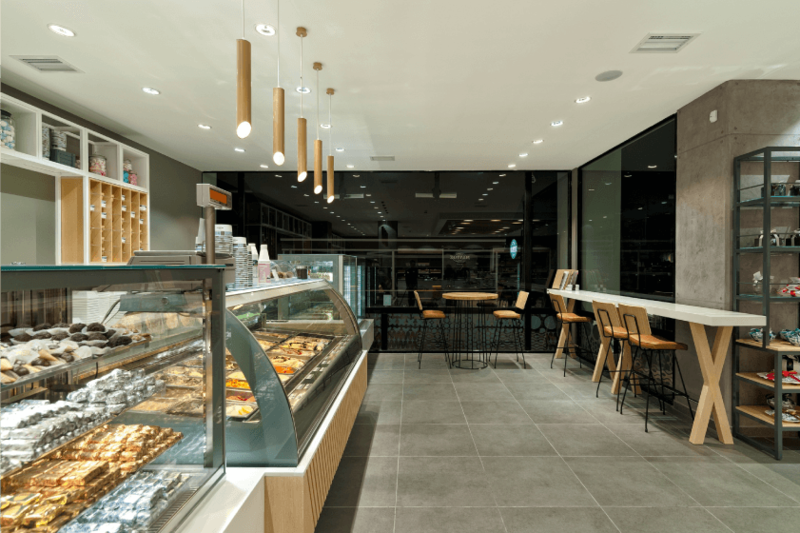 White granite and wood panelling in natural lacquer, LED lighting and sliding crystal caps in the window displays create a stylish, yet inviting space for the customer. 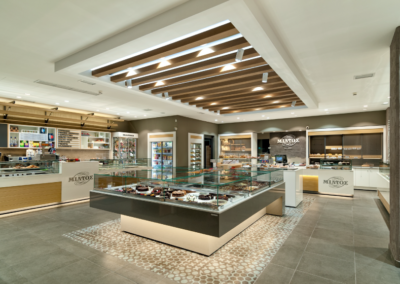 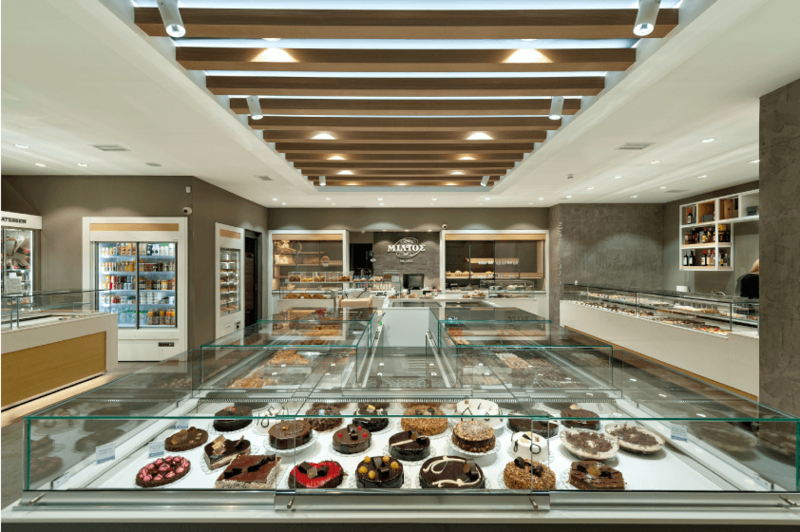 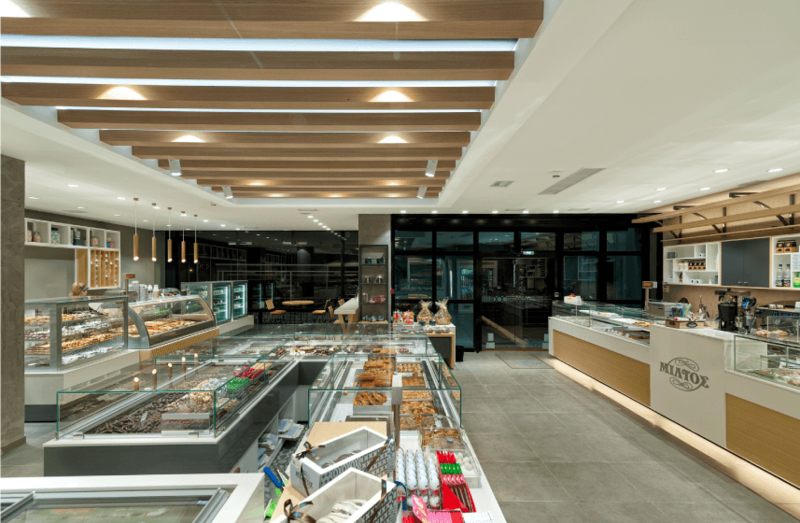 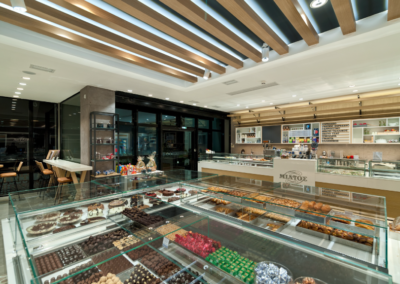 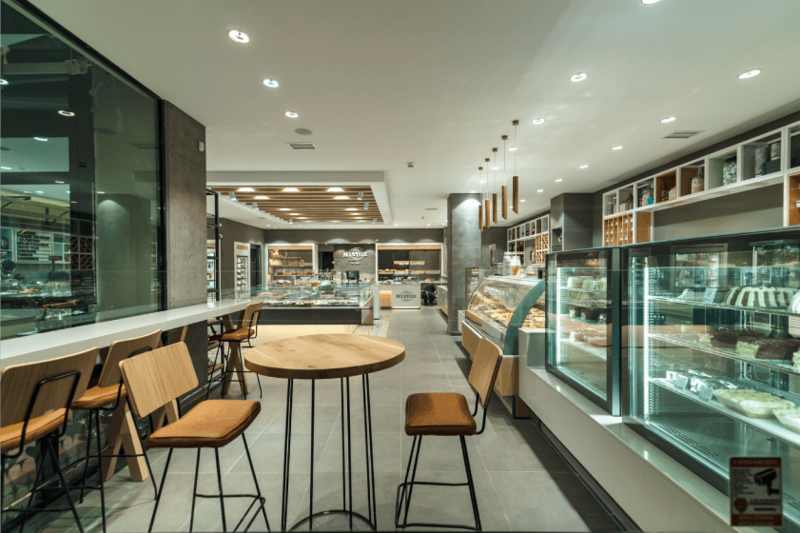 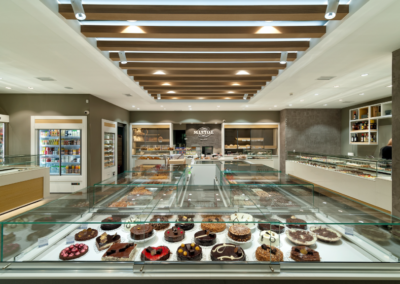 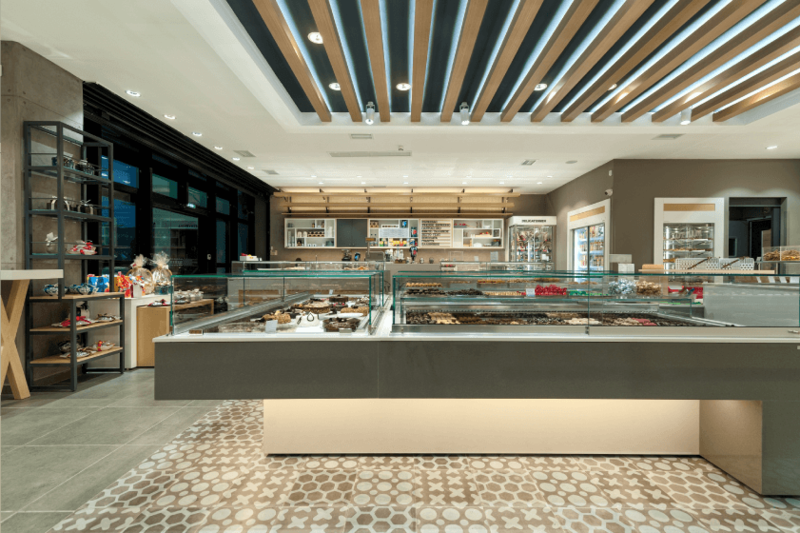 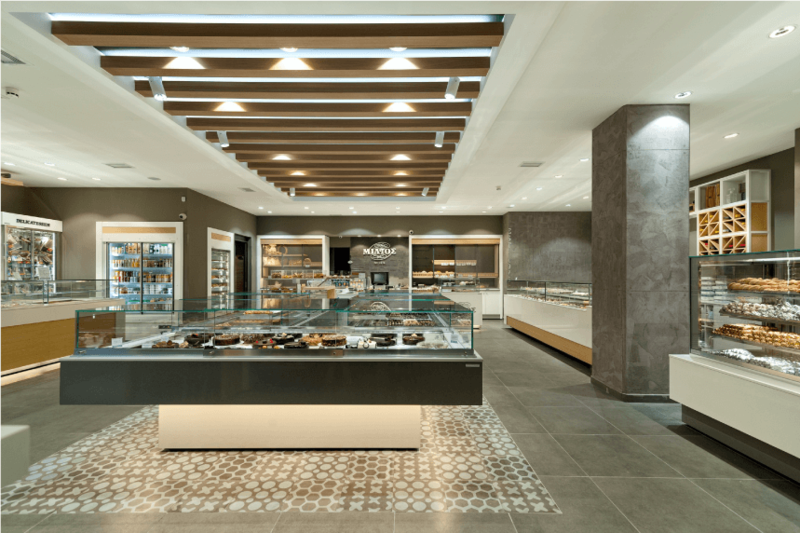 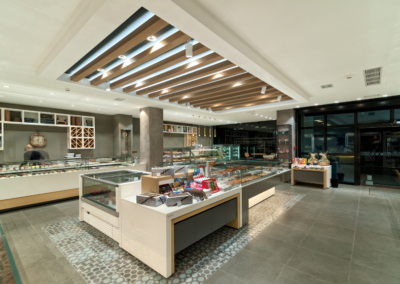 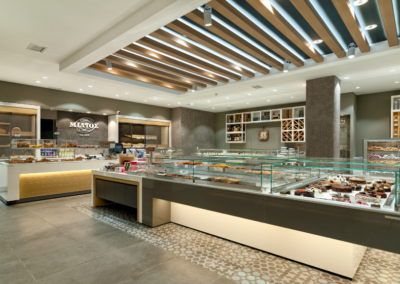 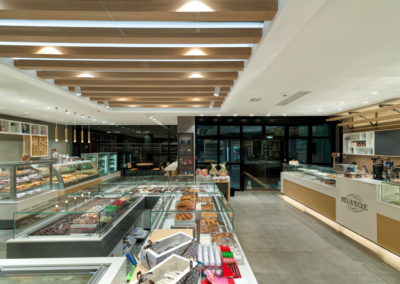 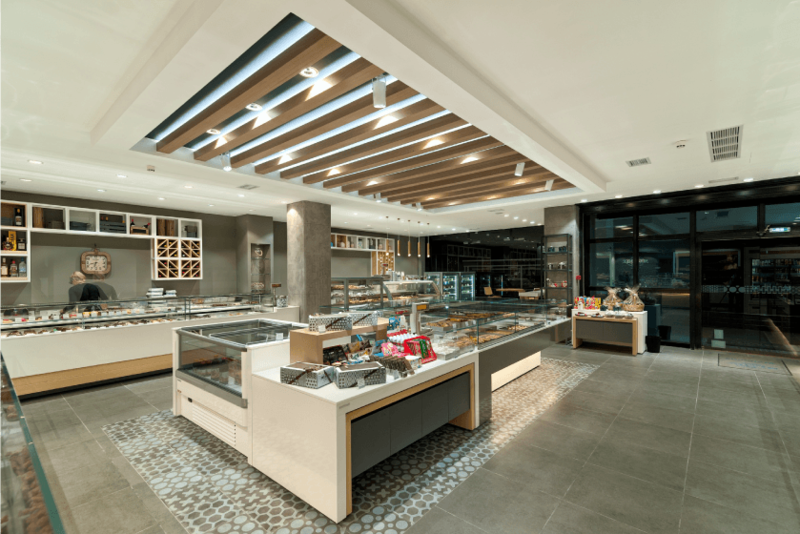 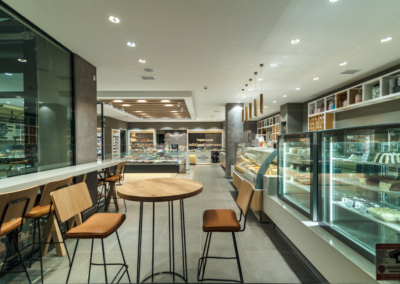 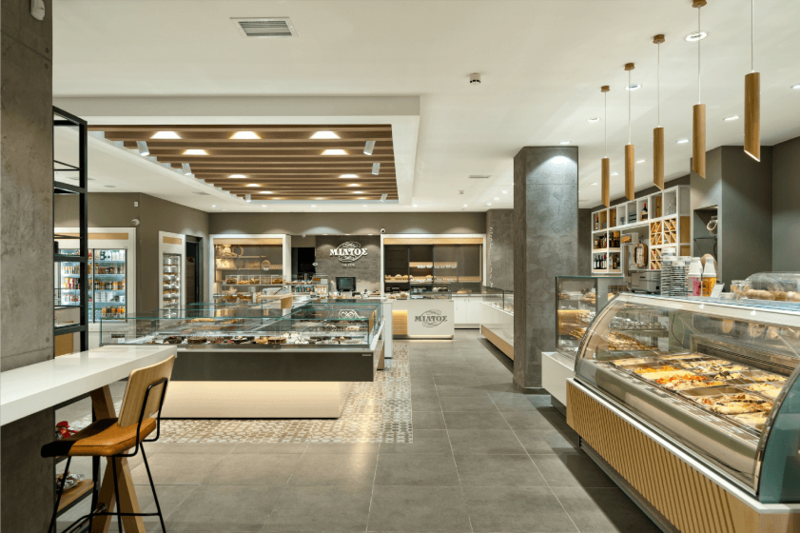 Miltos central store in Thermi was fully renovated by D. Adonopoulos SA. There you indulge in the fresh bread, the splendid breakfast choices, the freshly ground coffee, the snacks and the delicious sweets, all aptly placed in the modern vitrines and refrigerators of D.Andonopoulos SA. 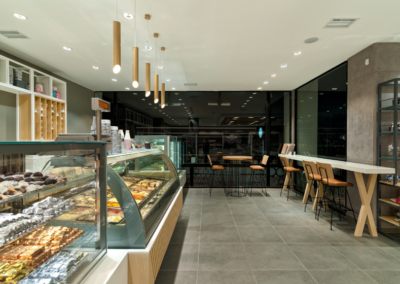 White granite and wood panelling in natural lacquer, LED lighting and sliding crystal caps in the window displays create a modern, yet inviting space for the customer, morning till night.